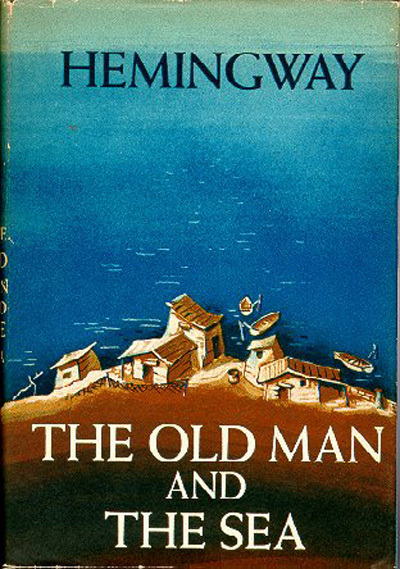 The Old Man and The Sea by Ernest Hemingway was published. 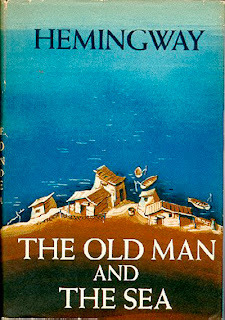 It was on this day in 1952 that Ernest Hemingway published The Old Man and the Sea (books by this author). For years, he had been living in Cuba and working on an epic novel about the sea, but he couldn't quite get it right. So he decided to publish a small piece of it, just 27,000 words long, which he called The Old Man and the Sea. He released it in the September 1st issue of Life magazine, which cost 20 cents. That month, it was published by Charles Scribner's Sons for $3. Hemingway's last major work had been For Whom the Bell Tolls, published 12 years earlier in 1940. His book Across the River and Into the Trees (1950) sold fewer than 100,000 copies, all the critics panned it, and there was a general feeling that maybe Hemingway's best days as a writer were passed. The Old Man and the Sea changed all that. The Life version sold more than 5 million copies in two days, and it was a best-seller in book form, as well. In it, Hemingway wrote: "The shark swung over and the old man saw his eye was not alive and then he swung over once again, wrapping himself in two loops of the rope. The old man knew that he was dead but the shark would not accept it. Then, on his back, with his tail lashing and his jaws clicking, the shark plowed over the water as a speed-boat does. The water was white where his tail beat it and three-quarters of his body was clear above the water when the rope came taut, shivered, and then snapped. The shark lay quietly for a little while on the surface and the old man watched him. Then he went down very slowly. 'He took about forty pounds,' the old man said aloud. He took my harpoon too and all the rope, he thought, and now my fish bleeds again and there will be others. [...] It was too good to last, he thought. I wish it had been a dream now and that I had never hooked the fish and was alone in bed on the newspapers. 'But man is not made for defeat,' he said. 'A man can be destroyed but not defeated.'" It was the last book that Hemingway published during his lifetime; in 1961, with his physical and mental health deteriorating, he committed suicide. I've long considered myself a Hemingway fan, but hated The Old Man and the Sea when it was assigned in high school. My favorites over the years have been A Moveable Feast and The Garden of Eden. Perhaps today would be a fitting day to revisit this classic. I wonder if I'll have a different reaction. Have you ever reread a classic you despised high school? Was the experience different? What is your favorite Ernest Hemingway title? I haven't read any Hemingway I am sad to say! Which would you recommend to read first? In high school I was going to read The Great Gatsby, and I just couldn't force myself to read it. I ended up reading Oliver Twist, which I loved. I did read The Great Gatsby in my 20's and although I liked it, it wasn't a favorite. I probably will reread it eventually just to see if my take on it is different. Missy - I was neutral on The Great Gatsby in high school, but love it more and more each time I've read it as an adult. I really need to read Oliver Twist one of these days! I didn't know this was the anniversary of Old Man and the Sea. I actually loved the book, which I read closer to its 20th anniversary! Beth F - I've decided to reread The Old Man and the Sea this weekend... was immediately surprised at the beauty of the opening passage. Guess I was just too young to appreciate it at the time. Great postttt--I've liked some Heminway, but didn't like Old Man when I read it in high school. I really should reread it and see if I like it any better now. I couldn't stand Hamlet when I read it in high school, but now consider it one of my favorite pieces of lit of all time. As a high schooler, I didn't hate the required books--I loved Gatsby, Mockingbird, Separate Peace, Macbeth, even As I Lay Dying, but Hamlet left me cold when I was 16. JaneGS - I started rereading The Old Man and the Sea today and am struck by its beauty and simplicity... guess I just couldn't appreciate that as an early teen. I despised Hamlet and have never tried to read it again, but I thought Of Mice and Men was brilliant. Trish - The Red Badge of Courage stands out as a book I really hated and would never give a second chance. At least The Old Man and the Sea is short... that's probably one of the reasons I decided to pick it up yesterday. Who knows, I may even finish it today! I enjoyed For Whom the Bell Tolls back in the day...and A Farewell to Arms. But after reading The Paris Wife, I realized that I hadn't yet tried A Moveable Feast. So I did. Loved it. I'm intrigued by the idea of The Old Man and the Sea...so that's a task for the near future...perhaps. Laurel-Rain Snow - I did manage to reread The Old Man and the Sea last weekend, and while it's still not a favorite, it was much better than I remembered. I hope to read The Sun Also Rises before too long, too. Thanks for stopping by. I enjoyed the audio version of this one years ago. Diane - I see that Donald Sutherland narrates the audio - bet he did a great job! I re-read Old Man with a book club and I didn't renew any love for it. BUT, per your question, I really need to give Mr. Steinbeck another chance. Can you imagine a book selling five million copies in two days nowadays? Plus, it wasn't about celebrities or politics?! Vasilly - That's a pretty amazing statistic! I did end up rereading the book and posted my thoughts today. I've always avoided Hemingway because I'm not keen on the machismo but I actually really like the extract you posted. Think I'll have to try it! Vintage Reading - That's exactly the reason it took me so long to read Hemingway as an adult. Wouldn't exactly classify him is a favorite author, but definitely an important one. You might enjoy A Moveable Feast, too. I'm dropping in from ds's blog third-storywindow. I think I can spend a lot of time here! Glad to meet you! Rosaria - Thanks so much for stopping by... it's nice to meet you, too. I look forward to reading your blog.